Frame-less or Face Frame. Built to last, customized to fit your space and priced to fit your budget. Radically transforms and upgrades the garage. Floors are always ground for a longer lasting installation. Need storage space? How about ABOVE your garage door? We can even install them on the back or side walls. Wall hung closet designs that improve storage capacities while maintaining lower costs. Here at ALLSTAR Garage, Inc. we do one thing and we do it better than any other company – We develop solutions for your garage storage needs at a price that won’t break the bank because we believe in offering our customers a superior product at an honest price. 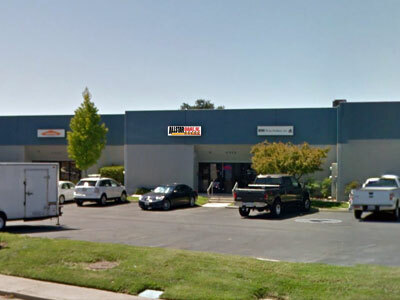 Our function is to make suggestions so you can make better decisions and to treat every garage as if it is our own. We build our own cabinets to fit your space specifications as well as your needs. From mass storage to workbench systems, deep to shallow, frameless to face frame, we can meet your needs. And NO particle board here, we exclusively utilize MDF. Epoxy floors are the ultimate and final upgrade within your garage space. They add a finished look just as the carpet and tile within your home. Epoxies have come a long way over the past several years and we’ve kept up! 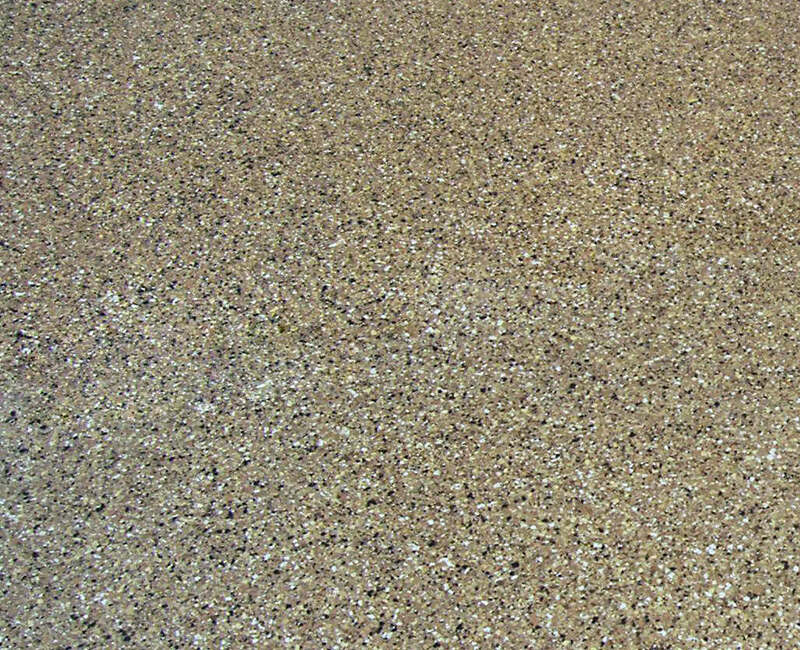 Solid preparation is accomplished by GRINDING the floor then installation of the Epoxy. Paint chips are added for texture and adhesion when wet, and finally a top coat to suit your needs. All this with up to a full 7 year warranty. While kitchens are where we gather with our family and friends, our closets are our personal spaces that make our houses into homes. With every unique individual comes a unique need within YOUR space. We consider numerous factors prior to presenting you with a design that we feel best fits your space AND your lifestyle. We feature wall hung closets systems as they require less materials thus lowering costs. The panels are raised approximately 12″ above the carpet, allowing greater storage options while maintaining a larger visual feel. Need storage space, but lack floor space? 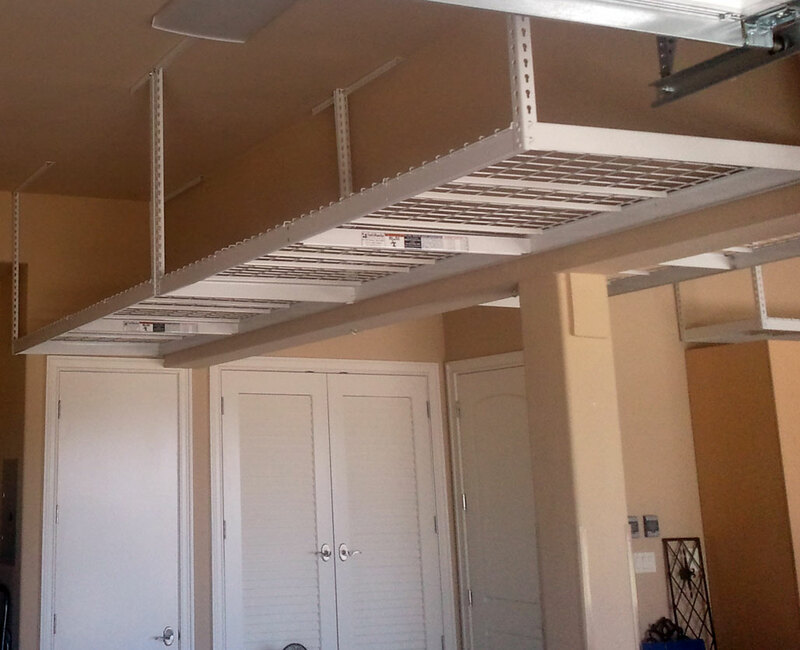 We have a solution for you, Overhead Storage Racks! 11 sizes available and all in stock, every day. Whether its 2- 4×8’s above the garage door, 2- 3×8’s along the rear wall, or a combination, we can get them installed.